With a full day to go, Heli-Expo 2015 appears on track to establish new benchmarks for exhibitor count, aircraft on display and attendance. As of midday Tuesday, the 17,774 registered attendees far eclipsed the total count of just over 16,000 reached when the show was last in Orlando, in 2011. The 735 exhibitors, more than 312,000 sq ft of display area and 57 aircraft on display also convincingly exceed totals from that record-setting year. More than $2 billion in transactions and orders are usually booked during Heli-Expo, and this year’s edition appears on track to keep that trend moving upward, a perception bolstered by comments from numerous exhibitors. Off the floor, conference and meeting rooms are hosting a full schedule of symposiums, forums and technical briefings, while the number of safety programs has been increased for this year’s show. Additionally, the Helicopter Foundation International, HAI’s sister organization, hosted successful mentoring sessions for students, and the annual Career Fair drew more than two dozen companies looking to hire pilots, maintenance technicians and other professionals. 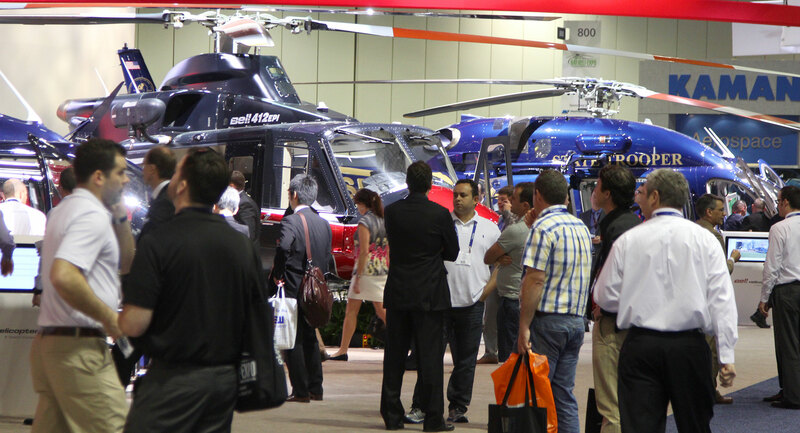 With the industry and its premier gathering continuing their ascensions, attention now turns to Heli-Expo 2016 at the Kentucky Exposition Center in Louisville, Ky., March 1-3 2016.